We all have our weaknesses, and while I am usually equipped with strong willpower when faced with baked goods, there are a few treats that I simply can’t say no to and am willing to spend an extra hour or two in spin class for. A few examples? My grandmother’s juicy apple pie, a flaky cheese croissant from a really good bakery, and these spicy-sweet snickerdoodles. This recipe is from Vegetarian Times, but I tweaked it slightly with sweet pumpkin purée and fragrant chai tea to make it extra delicious and fall-like. This recipe is super easy and can be customized totally depending on the season. For example, you could add some almond extract in the summer, mint in the winter, coconut in the summer – you get the picture. For the perfect cozy fall evening treat, whip up a mouthwatering batch of these tasty cookies and prepare to impress everyone with your crazy dessert chef skills! 1 // Preheat your oven to 350°F and evenly coat your baking sheet with vegan margarine or cooking spray to prevent sticking. 2 // In one large bowl, mix together your dry ingredients (apart from the sugar). Tear open a packet of chai tea and mix it in with the flour. 3 // In a separate bowl, use beaters or a fork to cream margarine until it is light and very creamy. Add the sugar and pumpkin purée, and beat until it has a snow-like, fluffy texture. 4 // Add soymilk and vanilla extract to your creamed sugar and margarine and beat until smooth. Next, add the dry ingredients and beat until it is thouroughly mixed. 5 // Scoop out and roll little balls of your snickerdoodle dough. 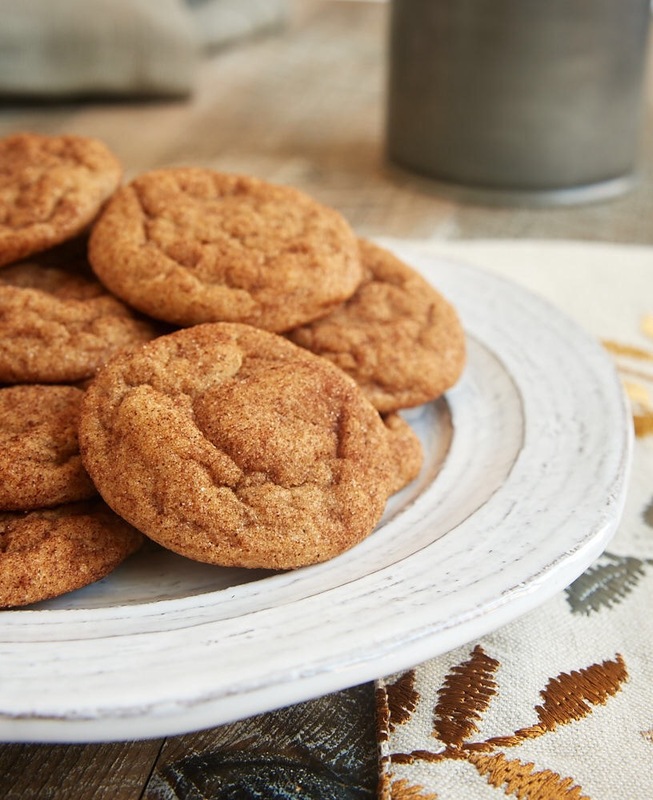 Coat each cookie in cinnamon and sugar before placing them on the baking sheet. 6 // Put the cookies in the oven and bake for 10 to 12 minutes. The cookies should be lightly browned on top but still soft and chewy. 7 // You can keep the cookies in an air tight container for about two weeks. These cookies honestly taste like everything good about autumn! Enjoy these decadent treats with a hot chai tea latte or steaming cup of coffee. If you try this recipe, let me know what you think!